Ok, I know I have posted about this before, but I feel it is worth revisiting, because casual language can be easily misinterpreted to mean a casual attitude about a friend, or friendships in general, when that may not be the case at all. Many friendships could have been saved if we really understood this concept!! I have often used casual language such as "no worries" in my friendships, many times thinking I was doing my friend a favour in the use of my casualness. Usually such an expression would be exchanged when a friend is letting you down in some way. Perhaps they forgot to bring something they were going to lend you, or forgot to make a call that would serve you in some way. Maybe they cancelled their plans with you or even hurt you in some way. 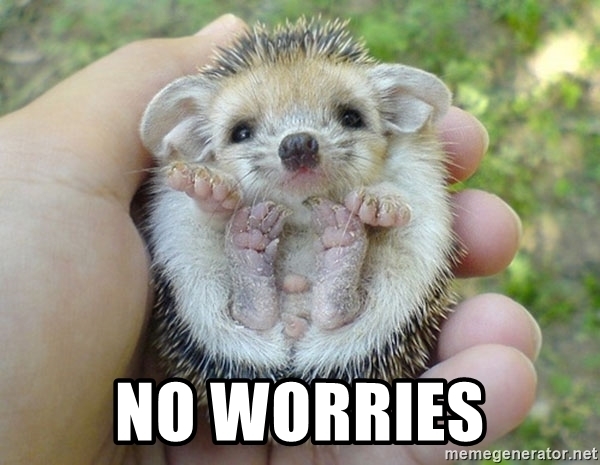 Whatever the reason, even if you are actually upset, you may reply “No worries.” (Or some other similar casual remark.) This is probably because you value your friendship with this person and feel it isn’t worth a confrontation over a minor slight. The issue at hand is yours, you take ownership of it and do not pass the responsibility over to your friend. All in all your intentions are probably good. How does the song go, though? 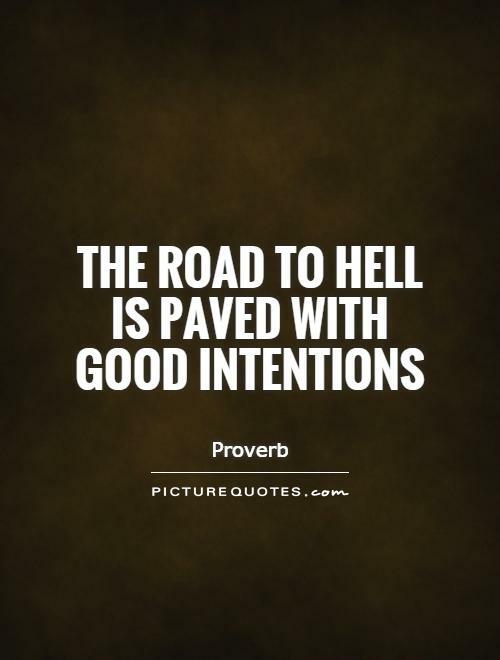 “The road to Hell is paved with good intentions” – In Fear And Faith. More than once, my own good intention to causally relieve my friend of responsibility for my hurt, has landed me in hot water. Why? Because my friend knew what she wanted and expected my response to be, and “No Worries” was the opposite. They WANTED me to worry. There was the friend who needed more reassurance that I still cared. She took my casual dismissal of cancelled plans to mean that I was relieved not to have to spend time with her. She had hoped I would tell her I was disappointed that she had to cancel our time together, or offer up an alternative time/way to get around the hurdle. It was a simple miscommunication, and difference in values. I felt, as she was the one having to cancel, that it was her responsibility to make a new plan with me. After all, she may really have been cancelling because she just didn’t want to see me, and I wouldn’t want to pressure someone into spending time with me if they weren’t inclined to do so. Then there was the time when my friend had something pretty major happening in her life. Whenever this impacted our friendship, I would try to be understanding and tell her “It’s ok. Don’t worry about it.” I was trying not to add to the burden in her life. I was trying not to place demands of friendship on her when I knew how much she had on her plate already. While I interpreted that what she had needed from me was time and space, she found this response crushingly isolating and careless. What my friend had wanted, needed and expected to hear from me was “I’m so sorry this is happening for you. Is there anything I can do? How can I help and support you?” Or at very least “I am here if you need me.” Of course, I thought she knew that. I was there. I always had been. However, it felt to her, that right when she needed me, I left the building. No worries? Yes, worry about me? Please?! Again this was a simple misunderstanding based on values. When I am carrying something heavy in my life, my tendency can be to draw into myself. I appreciate leniency and flexibility from my friends at these times, to understand that I don’t enjoy letting them down, but that it may be inevitable. If I need anything, I will ask, but what I value most is people just to be patient with me while I figure stuff out. I would find, what my friend needed, intrusive. She needed me to show more interest, ask more questions, force my way into her life even when she was pushing people away. Almost as a test, which sadly, I had failed. Although my friend and I had differing needs and expectations of these things, I can understand her viewpoint. Unfortunately she had trouble trusting my positive intention towards her, and it damaged our friendship. It left me questioning what type of friend or person she thought I was, and it left her with pretty heavy feeling of disappointment and disillusionment. So what’s the answer to this dilemma? Try to recognize when your own expectations of what you wanted to hear are impacting your interpretation of what you did actually hear. If someone is your friend, chances are their intentions were good. If you wanted more interest, you can reply to your friends “No worries” with “Thanks for understanding. As you know I have so much going on right now. I’m not coping too well. Although I couldn’t make it to the event, I’d really love someone to talk to if you have time to give me a call later?” It is clear what you need. Most friends want to show you what you want to see if you make it clear to them. Try to make sure you hear what was actually said and not what you think was said based on what WAS NOT said. If, by chance, you’re facing a friend who is more like me, who is pulling away despite your offers of help, of talking, of taking her out to relax…. What she needs from you is to pull back and wait for her to reemerge. She needs you not to take it personally, and to respect your different ways of coping. Be clear about what you need and what your friend needs. And remember you both have a life outside one another. Expecting to be the centre of anyone else’s life is an unrealistic expectation. When people forget or seem careless, it’s not usually because they don’t care but because they’re caught up in their own stuff. If you are going to have expectations of what you want the outcome to be, you need to clearly communicate that to the other party. Newer PostDo shared values make friendships more valuable? Older PostWhen to stop talking? !